If you have 30 minutes to spare, I invite you to spend it on an amazing story of a caricature. 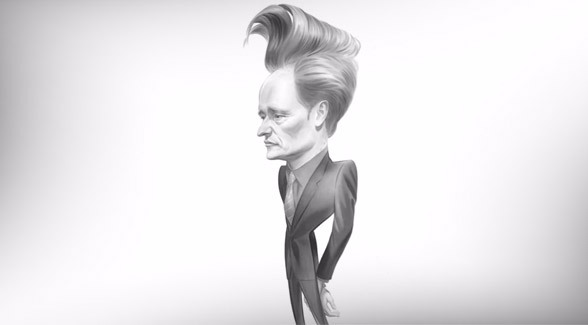 In the film "Funny Bones", artist John Kascht gives us a behind the scenes look at the creation of his portrait of Conan O' Brien, explaining his artistic process and approach to caricature. What's amazing about this is not the drawing itself, but the purpose of it. Caricature is all about finding the essence of a person, and magnifying it to make it easy to see for all. That, in many ways, are the same as what you have to do when you tell people a story online, and what I try to do every time I write an article. You have to find the essence of the topics you are writing about, and magnify the important points while diminishing the rest. And it is the same for brands on social channels. You have to find out what parts of your purpose that your brand is all about, and magnify them to create something people care to follow. In many ways, we are all caricature artists, although few are as talented and amazingly artistic as John Kascht. Enjoy this 30 minute video of what it means to find the essence of things. It will blow you away!